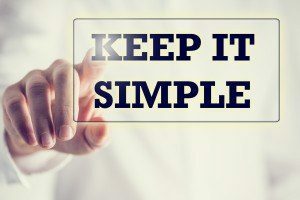 Why Should Divorce be Simple? tools and information necessary to resolve their divorce. This process allows clients to focus on how to move forward with their lives and heal their soul, rather than losing the financial and emotional capital so often associated with the litigated divorce. Our straightforward process and fixed pricing plan removes the drama and focuses on the solution. You will retain the sanity and assets to begin to rebuild your life. The emotional and financial struggles associated with any divorce is tough enough. The legal divorce process should not make things more difficult. Give us a call today if you would like to move forward.